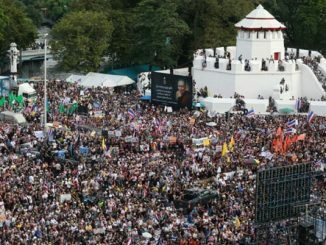 The conduct of the opposition in the Thai election held Sunday 2nd February was a success for the forces of Yinglunk Shinawatra’s Pheu Thai party despite the attempts by the right-wing minority opposition movement, led by Suthep Thaugsuban, to disrupt the elections and delegitimise the results. The decision by Yingluck Shinawatra to call a snap election in Thailand in response to a determined attempt by the right to overturn her democratically elected government is a high risk strategy, despite the fact that her party would almost certainly win in any fair election. 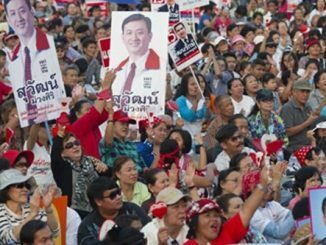 The right-wing monarchical elites and the army in Thailand know they cannot win in a free election and so are looking for an opportunity to delegitimise or distort the electoral process and impose an army or so-called technocratic ‘people’s council’ government instead. 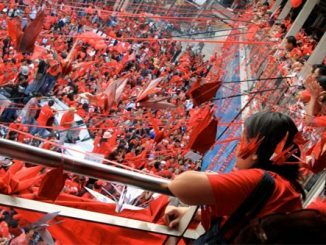 The election victory of the populist, left of centre, Puea Thai (For Thais) party in Thailand last weekend is a further indication of the continuing rise in struggle and shift to the left in a series of semi-colonial and developing countries – a trend in contrast to the predominant one at present in the US and Europe.